On November 4, the Cascade Blues Association in Portland, OR held their annual Muddy Award ceremony. 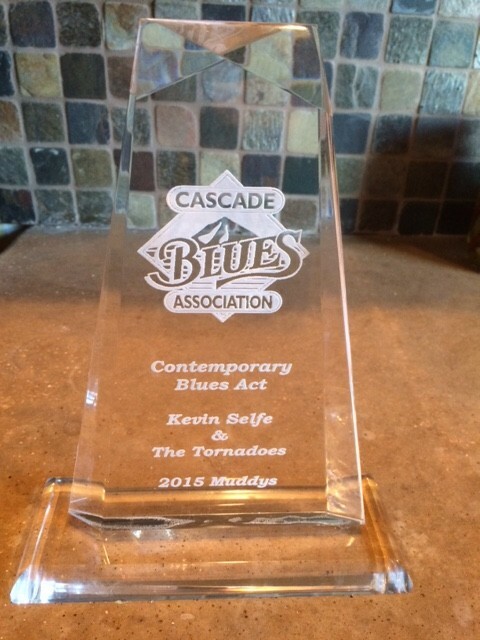 We are honored to announce that we received the 2015 Muddy Award for Contemporary Blues Act of the Year. This is the 8th award for the band for Blues Act of the Year. Thank you to the CBA, and the members for recognizing and supporting us, and congratulations to all the nominees and recipients! !